Cambridge Electric Transport is to attend Green Transport Day on 20th September 2018 from 11.30 - 2pm at the MathWorks car park on the Cambridge Business Park. The event, which is being organised by Travel Plan Plus will be encouraging those employees who currently drive to the park to think about changing their behaviour to sustainable modes of travel. 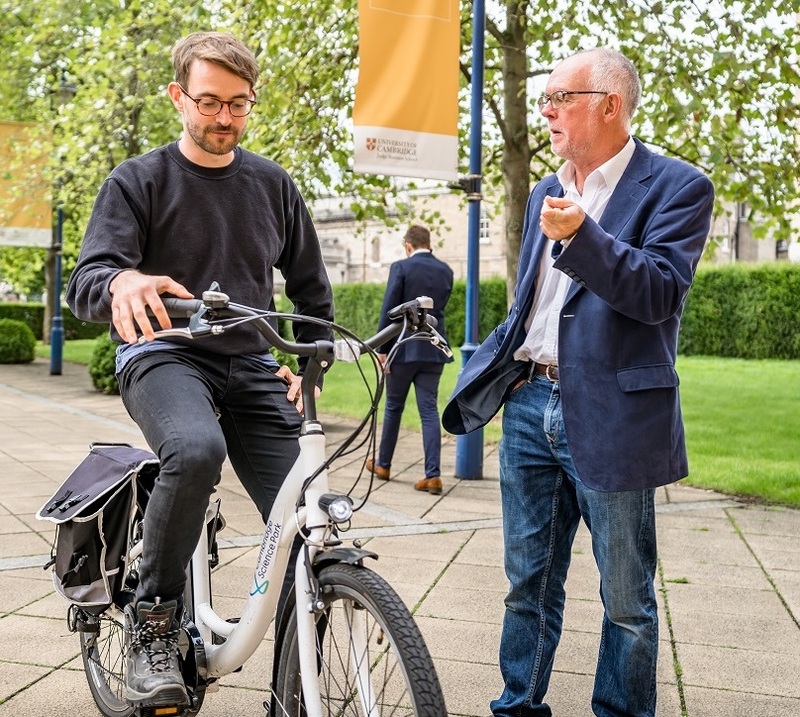 Cambridge Electric Transport will be showcasing its e-bikes that have already been used by many employees at various companies on the Cambridge Science Park. Picking them up from Longstanton, they have enjoyed trying out something new, saving money and being more environmentally friendly. All staff working at the business parks are encouraged to come along and try the bikes which they can later book for free and cycle to work on. Join us on the day and try out an electric bike yourself. We look forward to meeting you there.